First and foremost, be sure to prepare your pine cones. Remove any debris, and bake at 200 degrees for about 20-30 minutes (keeping a watchful eye to avoid burning). This will help to kill any bugs that may have found their way into these pine cones. On some old newspaper, pour out some green paint. Roll your pine cone through the paint to apply to all edges. Allow to dry (you can use a hairdryer to speed up the process if desired). 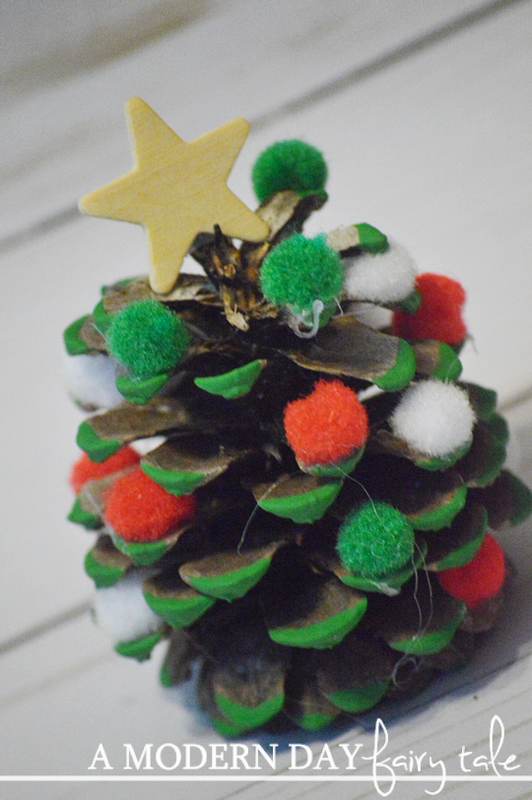 Glue the pom poms onto your 'tree' as ornaments. 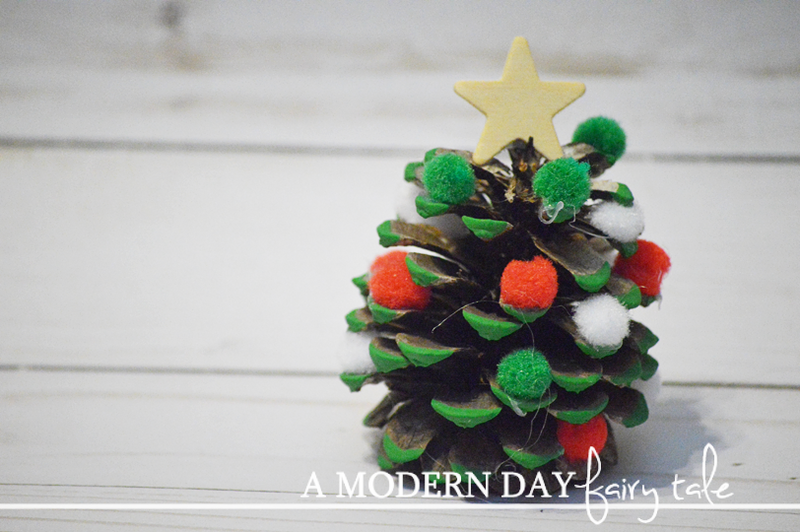 This simple craft is tons of fun for the kids, and can be a cute way to incorporate some natural pine cones into your holiday decor. Oh these are adorable!! And ironically enough I have a ton of pinecones!! We make bird feeders with them and peanut butter/birdseed. My son would love to sacrifice a few to this craft!! So cute & would be a great & fun craft to do with the kids. Cute! And I finally found a good use for those little felt balls that I bought a while back for an old crafts project!